Crocs intends to work with business partners that understand that meeting these minimum standards in this document is a critical baseline from which manufacturing leadership, continuous improvement, and self-governance must evolve. Beyond this Code of Conduct, Crocs expects our business partners to share Crocs’ commitment to doing the right things for our people and our environment. We share goals of reducing waste, using resources responsibly, supporting workers’ rights, and advancing the welfare of workers and communities. We believe that partnerships based on transparency, collaboration, and mutual respect are critical to our long term success. Our business partners commit to this Code of Conduct by signing a copy of these standards and business practices. This commitment will be updated and agreed upon on an annual basis. Crocs utilizes an independent external resource and an internal monitoring team to conduct unannounced periodic social compliance audits of our business partners and Crocs owned supply chain facilities to evaluate and address risks pertaining to slavery and human trafficking in accordance with Worldwide Responsible Accredited Production principles. 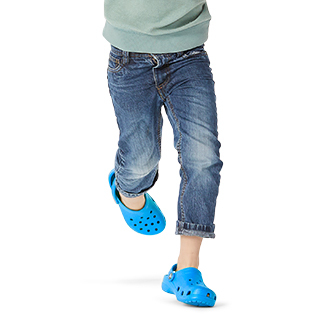 Crocs also conducts unannounced audits to ensure compliance with labor and employment requirements contained in third party licensing agreements. Crocs has a broad social compliance-training program in place that covers the topics of human trafficking and slavery, particularly with respect to mitigating risks within the supply chains of products. Additionally, the social compliance team includes a role to actively monitor and assess our business partners and internally owned factories. Any failure of employees or business partners to abide by the Code of Conduct will result in corrective action or termination of employment or contract. Business partners must fully comply with all legal requirements relevant to the conduct of their businesses. When differences or conflicts in standards arise, business partners are expected to apply the highest standard. The languages to be used for purposes of giving notice and interpreting the meaning of these guidelines are English and the local language(s) in the locations of our business partners. This Code of Conduct was created in line with the Fair Labor Association’s Workplace Code of Conduct and Compliance Benchmarks. Our business partners all confirm that they agree to comply with all standards and business practices listed in this Code of Conduct, are committed to safeguard worker rights and will endeavor to provide their employees with information regarding their rights under national and international labor laws and regulations. 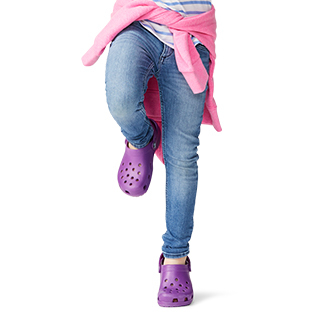 If Crocs discovers that one of our business partners has violated any of this Code of Conduct, Crocs may choose to cancel any outstanding orders, terminate the business relationship, and/or pursue legal action. This Code of Conduct must be posted in a prominent location inside the business partner’s factory in the local language(s) of the workers. Our business partners shall adopt and adhere to rules and conditions of employment that respect workers and, at a minimum, safeguard their rights under national and international labor and social security laws and regulations. 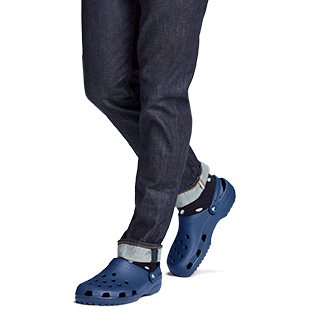 Crocs firmly believes people are entitled to equal opportunity in employment. Our business partners will not discriminate against their employees in employment, including hiring, salary, benefits, advancement, discipline, termination, or retirement on the basis of gender, race, religion, age, disability, sexual orientation, nationality, marital status, political opinion, trade union affiliation, social group or ethnic origin, or any other status protected by law. Our business partners will treat their employees with respect and dignity. Work environments must be free of intolerance, retribution for grievance, and corporal punishment. Physical, sexual, psychological, or verbal harassment or abuse of employees will not be tolerated. Our business partners will not use forced labor, including prison labor, indentured labor, bonded labor, or other forms of forced labor. Business partners’ employees will not be required to lodge ‘deposits’ or identity papers upon commencing employment with the business partner or as a condition of employment. Employees are free to leave the business partner after giving reasonable notice. Business partners are responsible for employment eligibility fees of foreign workers, including recruitment fees. Our business partners certify that they will comply with the laws regarding slavery and human trafficking of the country or countries in which they are doing business. No worker shall be employed under the age of 15 or under the age of completion of compulsory education, whichever is higher. Our business partners will ensure a safe and healthy workplace setting to prevent accidents and injuries to health arising out of, linked with, or occurring in the course of work or as a result of the operation of the employers’ facilities. They will promote safe practices by providing written safety and health policies and procedures that minimize negative impacts on the workplace environment, reduce work-related injury and illness, and promote the general health of employees. Our business partners must maintain systems to detect, avoid and respond to potential employee health and safety risks. They must provide training and adequate equipment to ensure workplace safety practices. This requirement also applies to residential facilities provided, if any. Our business partners will protect human health and the environment by meeting applicable regulatory requirements, including those covering workplace safety, air emissions, solid/hazardous waste, and water discharge. They will adopt responsible measures to mitigate negative operational impacts on the environment and strive to continuously improve environmental performance. Our business partners shall not require workers to work more than the regular and overtime hours allowed by the law of the country where the workers are employed. The regular work week shall not exceed 48 hours. Employers shall allow workers at least 24 consecutive hours of rest in every seven-day period. All overtime work shall be consensual. Our business partners shall not request overtime on a regular basis and shall compensate all overtime work at a premium rate. Other than in exceptional circumstances, the sum of regular and overtime hours in a week shall not exceed 60 hours. Every worker has a right to compensation for a regular work week that is sufficient to meet the worker’s basic needs and provide some discretionary income. Our business partners shall pay at least the minimum wage or the appropriate prevailing wage, whichever is higher, comply with all legal requirements on wages, and provide any fringe benefits required by law or contract. 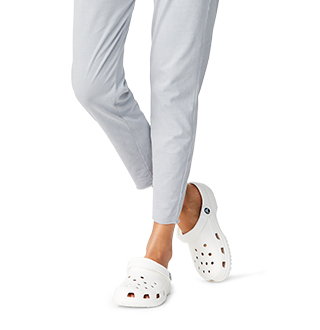 Where compensation does not meet workers’ basic needs and provide some discretionary income, each employer shall work with the Crocs to take appropriate actions that seek to progressively realize a level of compensation that does. Our business partners shall recognize and respect the right of employees to freedom of association and collective bargaining. This includes the right to form and join trade unions and other worker organizations of their own choosing without harassment.